It says 52 percent of the government's total expense on subsidy went to the PDS in 2017-18. Three types of leakage were identified in the PDS: loss by pilferage or damage; diversion of grain to non-beneficiaries; exclusion of people entitled to subsidised grain but not on the beneficiary list. Among the measures to check leakage is the Cash Transfer of Food Security Rules, 2015, providing for direct benefit transfer (DBT) of food subsidy. As of March last year, DBT for food subsidy was being implemented on a pilot basis in Puducherry, Chandigarh, and Dadra and Nagar Haveli. Read: Is DBT a one-stop solution? In 2015, the high-level committee on restructuring the Food Corporation of India (FCI) recommended that biometrics and Aadhaar could help plug leakages. Also, that transfers could be linked to Jan Dhan accounts and indexed to inflation. The government claims that all ration cards had been digitised by January this year; however, only 73 percent of them had been seeded with Aadhaar. Aadhaar itself has been issued to more than 107.8 crore (November 2016 figures), or 89 percent of the population. Since 27 percent of ration cards are not seeded with Aadhaar, there are questions about whether Aadhaar should be made mandatory for getting rations. 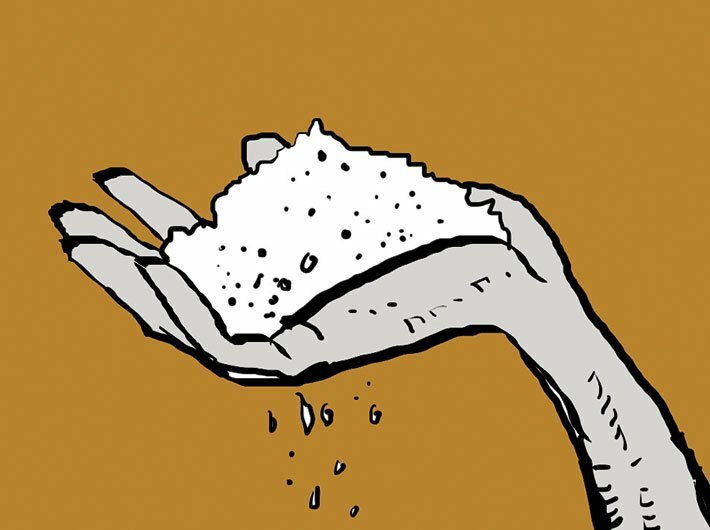 Read: "Aadhaar shouldn't be linked to food distribution"
The PSR report also notes how minimum support price (MSP), or the price at which the government buys farmers' produce, incentivises farmers to grow only those crops for which the government offers MSP--typically foodgrain--and avoid crops such as pulses, on which it is not offered. Under the National Food Security Act (NFSA), states were made responsible for identification of beneficiaries. In 2016, the Comptroller and Auditor General (CAG) found the process was incomplete: 49 percent of estimated beneficiaries were yet to be identified.